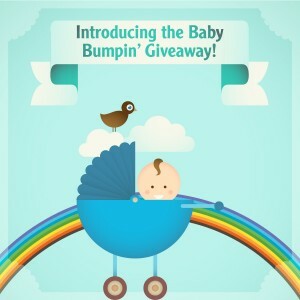 January 26, 2017 at 10:41 amHave you heard about our Baby Bumpin’ Giveaway?? It’s our way to help TTC couples! Throughout 2017, we're giving away over $10,000! Each month THREE lucky winners on Facebook will receive a $300 gift certificate (valid at fairhavenhealth.com). We feel extremely fortunate to be in a position to help so many couples conceive and wanted to give back to our lovely TTC community. Please help spread the word to friends and family who may be struggling. We also encourage you to open up and share your journey with others. Together we can continue growing our supportive community to offer help, education and compassion to all. Our January giveaway is already live! Head over to our Facebook post and post your comment to enter (commenting here in the forums doesn't count as an entry!). The three winners will be announced Friday on Facebook! Good luck!